What might you discover from regulating your breath? She went on to explain how the mind and emotions are intimately connected with the breath. How our breathing rate is the accumulation of our total mind/body/spirit at any given time. She also explained how regulation of the breath brings out hidden emotions... subconscious motives and fears. Envy, anger, lust - pick your poison. By the regulation of breath these nasty fragmentations of pure consciousness show their face in your psyche. Regulating my breath so it took a full 12 seconds to inhale, 6 seconds hold at the apex of the inhalation, 12 seconds to exhale and another 6 seconds hold at the base of the breath was the ratio I choose to use. After about.... oh, I'd say 4 minutes - the emotions started to flow. By this time the whole room was filled with the smoke for my Salvia incense burner - only aiding in my concentration and emotional attachment to what I was experiencing. First came panic, panic to take a giant breath in and fufil my 'lack' of air. Mentally I knew it was all emotion, and there was no physical reason to need to gasp. It the was feeling of being smothered I was experiencing - yet all I had done was change my breathing pattern. Suddenly flashes of being locked in a box came through my head. Flashes of being at the bottom of a 'dog pile' when I was a boy - unable to breath or get them off of me. A dogpile is pictured atop. Imagine being the poor chap stuck on the bottom of that! The same feeling of panic I had experienced in both those cases... years and years ago - I was experiencing again - right here and now - by just regulating my breath! How amazing is that? Content with my findings I decided to return my breathing to normal to blend my mind with my emotion and try to totally annihilate the emotional defect. Appealing to a higher power I prayed for guidance. Just like a seed must receive water from above, I prayed for the illumination it would require to analyze and destroy this emotion defect into cosmic dust. I then entered a state of deep relaxation where my thinking process stopped, but my heart was very active still. Staying conscious of the breath, I let the emotions and the body work it out. Emerging from the trance-like state I felt "lighter" somehow. Like a burden had been lifted from my shoulders. Sort of the like the lightness you feel after a fast, or after having released your bowels in the morning. It felt like that. But the only thing that changed as a spiritual insight to an emotional defect I had carried within myself - like a poison - for decades! I have pranayamas, and the dragon to thank for this 'toxic release'. I hope the same success in self conscious awarness and spiritual insight to all who might follow in my foot steps and try Salvia for themselves. 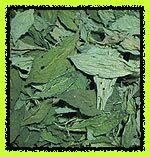 Welcome To My Salvia Dragon Blog! And before I shipped off any of my latest orders, I wanted to do a product test to make sure of the potency. Not only that, but I feel it was time for another insightful visit to the "The Dragon" as I call it. Needless to say, it didn't take very much at all. About three breathes and I had to lay down as I felt the experience coming on. And all of the sudden, as natural as it could be, I was a voice in my head. Any physical movement was uncomfortable as it was meant to be a totally inward experience. An astral journey, not a physical high. 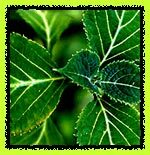 At first the Salvia did what I asked it, and removed my worldly problems so I could focus on the more spiritual questions I had in mind. Work faded away, emails and questions blurred and I was left with a central point of energy, or conciousness, that was ready to answer my questions. Focusing on one leaf, or "stream" of the plant I saw that it was good. Then my perception gathered in the dozens of other leaves on the plant. Visions in my mind of time it took to grow the plant, how multiple leaves served as multiples streams of both income (light) and outgo (gas exchange) for the plant. The question transformed from "How am I going to take a million?" to "How am I going to produce a million?" Contemplating the plant, I totally forgot my body. Considering that the seed, once it took root, provided a stream of income and outgo for the entire earth, or the "cause". How many seeds was I planting everyday? How many was I taking time to water, to see through to fruitation? The more seeds I planted, the better fruit they produced, the more service I would be providing. Simply, the more fruits I made, the more harvest I would reap. How amazing was that?! In a sea of possibility, we can create anything we want! Through a successive series of thoughts I came to the realization of the highest spiritual ideal which is "Aum" or the sound which resonates through the universe. "Aum" was the father, and electricity the mother. Both the highest manifestations of themselves. Matter, sound, earth, hate, jealousy, greed.. and everything else that is not pure Akash or "Aum" is just a lower vibration of that which it originated from. All things destiny are to travel full circle and to come back to their source, which feels like pure nirvana. It feels like overwhelming power, yet venerable peace all at the same time! Yet I was reminded by my spirit guide that it was not yet time (linear) for that horizontal manifestation yet. I had to live life as a physical being because here and not, that is what I was. Balance was the only way I was going to feel peace in this physical manifestation. Balance with nature, with the spirit and with other beings. Connecting with my source, "Aum" was the only was to be reminded of the overwhelming power in which I was from, and from which I was going.... from which we are all going. Be still, yee Gods, so you can remember - we are but young being of Light. Venerable Peace be with this entire humanity.